Hire a private yacht to experience a luxurious time on board from our well maintained luxurious fleet to its quality yacht crew & professional guest relations staff. It is ideal for a 3-4 hour cruise to cover all the hot spots around the palm and have some good time swimming at the lagoon area. The guests are allowed to bring in their own food and beverages which our crew will happily serve. Guests also have the option to choose from a VIP menu to a barbeque menu that will be taken care of by us. Hiring a private yacht is ideal for parties, celebrations, proposals and just having some good time with family and friends. Xclusive 4 is our entry level flybridge yacht. Set over three levels, she is spacious and elegant with a stylish lounge, two comfortable ensuite bedrooms and a large sunbathing deck. The saloon features a fully equipped galley with microwave, oven and fridge, cleverly blended into the same comfortable area, making a superb entertainment room with all round views to enjoy. The upper deck has a comfortable seating area and viewing platform. Xclusive 10 is our mid-range yacht. Set over three levels, she is even more spacious and luxurious than Xclusive 4. She has an excellent layout, with dual sliding doors opening out into the very grand full beam saloon, tastefully enveloped with rich teak wood flooring and maple wood paneling. The lower deck consists of three bedrooms, two twin bunk guest accommodations and one VIP ensuite with a King size bed. The flybridge has ample seating, coupled with a large open-space, ideal for parties or gatherings. The spacious interior of Xclusive 1 provides ample room for entertaining, whilst the large aft deck and flybridge provide panoramic views, catering for those with an outdoor appetite for the sun. Fully air-conditioned throughout, the luxurious lounge and dining area are complimented by an extensively equipped galley and bar which can be utilized to prepare exotic culinary dishes and cocktails for formal parties. Xclusive 2 has been carefully selected from the Gulf Craft Range. The Gulf Craft is a well built, comfortable yacht, with an impeccable finish. Xclusive 2 is finished in a sophisticated glossy white top coat, with expanses of rich teak decking. She has an extra large flybridge, which can be used as a reception area for you and your guests to take in all the great views and landmarks throughout the duration of your cruise.The flybridge also has an integrated BBQ and comfortable seating area, where you and your guests have plenty of room to relax whilst enjoying a sizzling barbeque, or plenty of room to dance if you’re having a party. Hiring a private luxury yacht is not the only option available now! 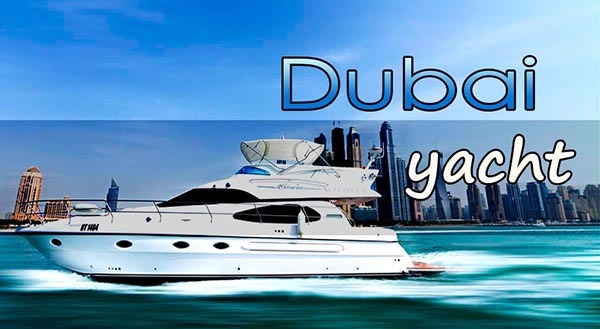 There is good news for couples, friends and small groups wanting to explore Dubai Sea without having to hire a private yacht, but enjoy all luxuries associated to it. Meet like – minded people and spend some quality time socializing and networking on board Xclusive’s latest sharing yacht experience. The 64ft bluewater yacht offers all the comforts and amenities of a modern luxury super yacht.